Last Sunday, 21st May 2017, Mommy Jane brought Little Angels to Evolve Concept Mall to attend Kids Public Speaking Expo. 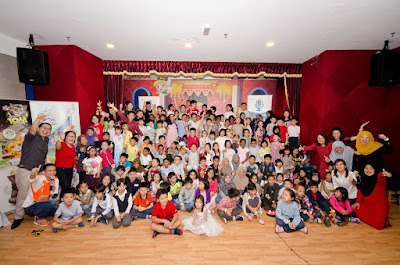 Organised by Johan Speaking Academy, all the kids who gave speech on the stage, had went through a 10 weeks Kids Public Speaking program, which gave them real life experience speaking on the stage. These Kids were send to Little Kingdom, Parkson Indoor Playlandat Maju Junction in April this year for their brand ambassador program. 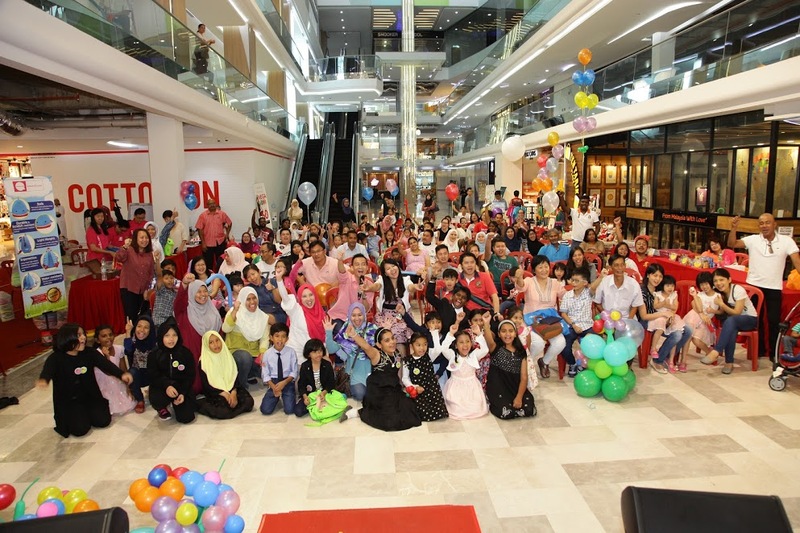 While waiting for their turns to speak at the video, they enjoyed themselves playing at the playland with lots of activities organised to them and now their graduation finale was here at Evolve Concept Mall. 135 kids had graduated on that day. Congrats to all of them. Have you ever speak in the public ? Someone ask me before and my answer is YES because my previous working life allowed me to speak in front of the lecturers and public. Not everyone could speak in the public especially adults and children. Almost 90% will shy away and said NO. In order to build confidence on my Little Angels, I did send them to Johan Academy to attend the course and I am proud with their achievements. I believe with the foundation that they gained through public speaking, it will be their life's most valuable skills. Public Speaking happens every time we communicate in public and not just on the rare occasions that we find ourselves standing behind a microphone. Our children ability to communicate well will help them stand out and achieve many things in their life. Kids Public Speaking will help them up in their growing up period till adulthood especially when they need to give an oral presentation. Communication skills are essential for their future career development. The ability to articulate their message and share their story will help them to inspire and to impact the world. Kids Public Speaking promotes effective communication. It will help our kids to develop more meaningful relationships with the people they care about and that, of course, starts with listening. It also encourages our Kids to voice out their ideas and influence their peers. Most important is, Kids Public Speaking program is almost guarantee to build our kids' confidence. They learn to stand before a group of people, make a lot of eye contact and engage them with conviction. The program will teach our Kids on how to deal with their fears and turn their weakness into strength. Besides the speech by the Kids, there are colouring activities and contest during the Expo. Few merchants promoting their products specially for kids and we had enjoyed the complimentary Slurpee served by 7-Eleven on that day too. 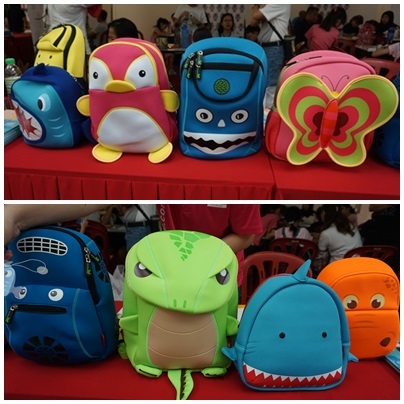 Attractive lucky draw prizes for the attendees and some brought home the cute little bag. Congrats to all the winners. A whole day event that kept all the kids entertained. 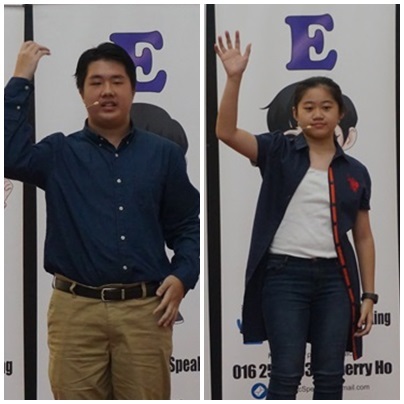 Founder, Johan Ooi & Cherry Ho has coached and taught more than 1000 kids to speak on stage since 2014. Johan is the 2015 Peninsular Malaysia Pubic Speaking Champion, He represented Malaysia and competed in the 2015 World Championship of Public Speaking held at Las Vegas. He finished as the semi-finalist competing with the best in the world. Kids Public Speaking by Johan Speaking Academy will have their next intake on the 10 weeks program in Sept 2017. It is for kids age 7-12 years old in English and Mandarin sessions. For more information, you can email to them at kidspublicspeaking@gmail.com or call Cherry up at 016-2589038. Johan Academy is located at 92B, Jalan Burhanuddin Helmu, Taman Tun Dr Ismail, 60000 KUala Lumpur. Website at www.KidsPublicSpeaking.com and Facebook page at www.fb.com/KidsPublicSpeaking. Mommy Jane was amaze with the performances on each and every kid who had conquered their fears to stand up in front of over 100 audiences to speak up on the stage. Congrats to all the Kids for their achievements. Mommy Jane hope my Little Angels will one day stand-up at the stage, just like all the Kids there and speak with confidence and fearless so that Mommy Jane will feel the proudness on their achievements. There are so brave! If for me when I was a kid for sure will keep silent. Shini, the kids are trained to be brave. If you join it when you're small, then I'm sure you can make it too. Bella, agreed with them. 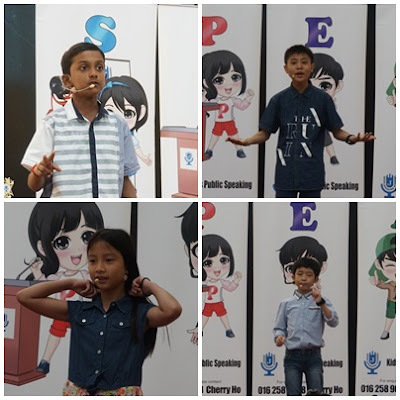 Kids Public Speaking had helped them a lot to be more confident in their life. Great speaking event.. The kids looks so confident... Ur angels all wearing same t-shirt.. Nice! The kids are so brave! Your little angels will soon be as confident as the participants too! Fateen, I send my Little Angels to Kids Public Speaking before and they can speak out confidently but in a smaller crowd. I still have fear on public speaking until now. Good that this kids got some training when still young. Cindyrina, overcome your fear and there are public speaking for adults too. Perhaps you can call them for more information. This is such a good event for training kids, until today i still can't really do public speaking. Baz, they have classes for adults too. Maybe you should call them up for more infor. This is so cool and kids should start learning from young there is a better world for them in the future. Kelly, agreed with you. Train the kids to be a better one. May, definitely agreed with you on this.